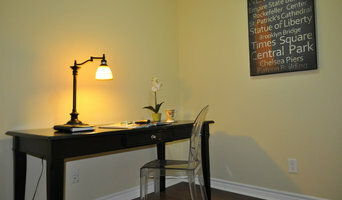 We create inspirational, warm and inviting spaces for your personal dream lifestyle and living. We also assist in maximizing the beauty and potential of your home by professionally staging it to attract more buyers, selling for optimal profit in less time. We take the stress off of you...after all isn't your largest investment worth it? Interior Design and Staging. Real Estate and Financing, All trades and contacting upon request. Working along side Realtors, Brokers and 'flippers' as well as home owners. Creating beautiful, livable and sellable spaces one room at a time. Keeping budget and style in mind and as a priority at all times. Staging vacant and lived in homes ready for resale since 2011. 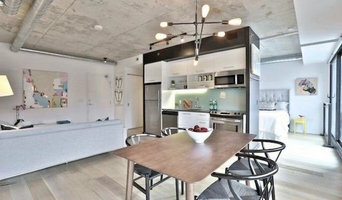 • Our service is designing houses, condos and lofts. • Special Discounted rates for repeat clients. • Special Discounted rates for consultation. If you give us a call and tell us a little about your property, we can be more specific with our prices. We will always try to keep your costs down and will not have you do anything unnecessary. We can provide some references from our past clients and realtors who we work with. Flawless Staging wants to sell your home quickly and for top dollar. A coat of paint and good cleaning just aren't enough in today's market. Buyers have high expectations and don't want to visualize what "could be". Flawless Staging will transform your home and make potential buyers dreams a reality. Aura Home Staging is dedicated to creating designs that unite form and function into a single concept reflecting good taste and luxury. Aura Home Staging offers exceptional staging and design services using only the finest furniture and accessories to assist in merchandising your property. By working closely with the Real Estate Agent and identifying the target audience, Aura will merchandise the house to appeal to the broadest range of buyers increasing the Seller’s likelihood of receiving more than one offer. Our aim is to maximize the equity in your home. We believe in Staging homes with excellence, give the agent and the client our undivided attention and to be of service in any way we can to insure a positive outcome in the sale of a property at a reasonable competitive price. We serve Kingston and surrounding areas. Home Staging & Redesign, Interior Decorating. Studio Linea is an Oakville-based company providing professional home staging and redesigning services to homeowners, realtors and home builders.Studio Linea offers professional services dedicated to assist homeowners in preparing their house for sale or redecorating. Our commitment and passion to any project, small or large scale, has always been recognized by referrals and recommendations. "FIRST IMPRESSIONS ARE EVERYTHING!" 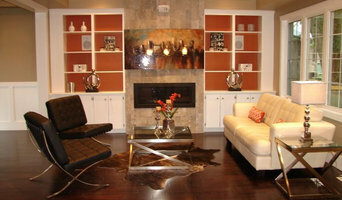 BelleStaging is a fully insured home staging company serving Toronto, Ontario. As a boutique home staging company, we pay attention to every detail no matter how small. We believe each home is different and a customized design is needed for each home individually. We take into consideration potential buyers demographics, the size and architecture of your home as well as other individual needs. At Belle Staging, we start our job before even entering your home by researching and becoming familiar with general buyers demographic in your neighborhood. By following an 8 step, FEEL HOME process we cover all the design elements that make buyers FEEL HOME in the home we are staging. We use a proven and tried process which is sure to get results to transform your home and create a vision to which more buyers will aspire and want to have. In today’s world, most buyers primary resource is online listing. Our tailored designs make your house stand out online which results in more viewing and surely more showing. This enables your home to sell faster and for more money. We value our clients tremendously and are dedicated to our work. We are willing to go extra miles to make sure your house will be the best it can be on the market. I am a Property Stylist. I work with clients that want to sell their existing properties. "Creating Lifestyles That Inspire Buyers. " I am also a full service Realtor with Keller Williams Golden Triangle Realty Inc., Brokerage. MargaridaFDesigns, have the expertise to manage your projects from beginning to completion. 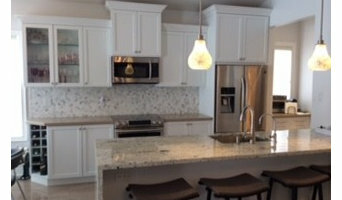 I provide a wide range of services, from planning, renovations and staging your house for sale. I will design and coordinate all the design elements for you the way you desire. If it's renovation that you need, I will meet with you to, know your style, your likes and dislikes, and your budget. I will work along side my team of contractors, to make sure that the job is done to perfection. If it's to stage your house, the services include: Planning , colour selection, furniture selection and decluttering. I will bring out the beauty of your home so that it can appeal to maximum range of clientele, speedy sale, and give your home the highest value possible. 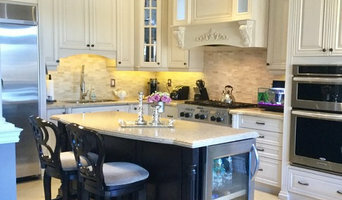 Heavenly Design provides decorating, staging, and interior design services for both small and full scale residential projects throughout the GTA. At Heavenly Design we are committed to help you prepare your home for a quick and profitable sale by emphasizing the best features of your home. We facilitate and select furniture and accessories to create the perfect look. We also provide One Day Room Makeovers including furniture selection, space planning, window treatments, lighting, fabric selection and personal décor shopping. Whether you are looking to sell your home or just give your room a makeover we are here to help.